A malfunctioning garage door can literally put a hold on your life. Whether it cannot open or close, the door has fallen off of its track, or the garage door spring broke, a broken garage door is not only a major inconvenience, it is often an issue that requires professional knowledge and tools to repair. Instead of trying to repair them yourself, when your garage door or garage door opener is not working properly, it is best to contact a local garage door company that has the professional knowledge and experience needed to solve any issues. When your garage door stops working and you are in need of maintenance, replacement, or garage door repair in Carmel, you can count on the team at Garage Door Doctor to quickly get your garage door running smoothly again. 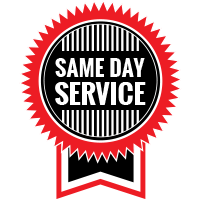 Unlike some of our competitors, we respond quickly to service calls offering same day service and appointments, as well as emergency garage door services in Carmel. Our range of reliable garage door services has led us to become one of the best garage door companies in Indiana! Garage Door Doctor has been providing quality garage door and garage door opener services in the City of Carmel for many years now. When your garage door system malfunctions, you can rely on our technicians to find a solution by providing the following services. Garage Door Doctor offers a range of services to help homeowners with their residential garage door needs. From installation, to repair, to garage door maintenance in Carmel, the team at Garage Door Doctor can service just about any make and model of garage doors and openers. You can rest assured that our team will find the problem and provide a solution. A garage door can have a significant influence on the functionality of a business. Whether you are searching for a commercial garage door in Carmel or need commercial garage door repair or installations, our team has the knowledge and experience to assist you. We carry some of the best commercial garage doors and openers available! The best way to ensure your Carmel garage door is working properly is to opt for routine garage door maintenance. Our garage door maintenance services help reduce the need for future repairs and garage door replacements while ensuring your garage is in good working condition. It’s not uncommon for a garage door opener or garage door to malfunction every once and awhile. When your garage door stops working, you can count on our garage door repair services to find the problem and provide the needed repairs to have your door opening and closing properly. The weight of a garage door can cause the springs holding it to break or bust. This is not only dangerous but when this happens the garage door will often be inoperable. At Garage Door Doctor, we specialize in garage door torsion spring repair and can quickly fix broken or damaged springs. Whether you are building a new home in Carmel or are just ready to upgrade your existing garage door, there’s not a better company to call for reliable garage door installation than our experienced garage door technicians. We only install quality products and carry reliable, durable, and attractive garage door options for both commercial and residential properties. Emergencies happen, especially when it comes to garage doors. 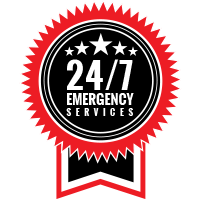 Whatever the case may be, when you need emergency garage door repair in Carmel, you can rely on our 24-hour emergency garage door service. Our technicians are always on call and ready to provide immediate assistance for emergency situations.